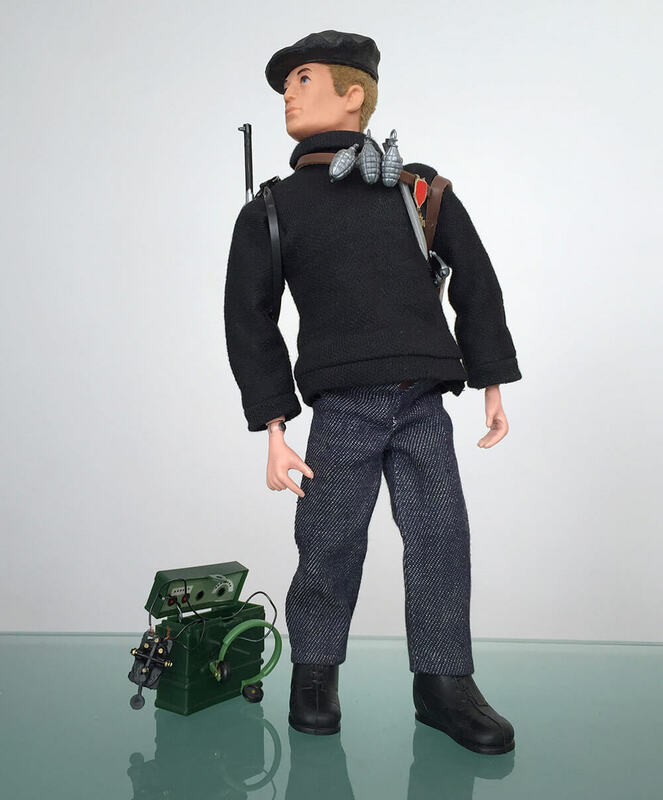 The basic Action Man figure, could be accessorised with one of these popular uniforms from the range entitled "Soldiers of the World". 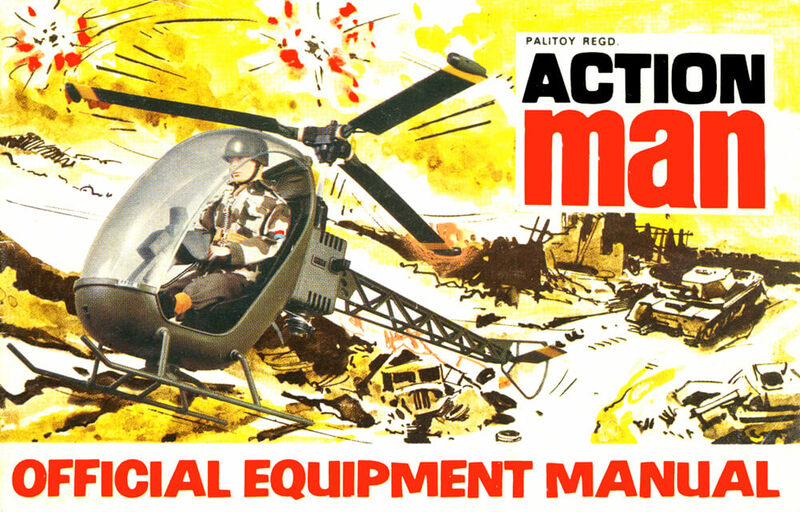 They were basically rebranded from 'Soldiers of the Century' with a few subtle differences. 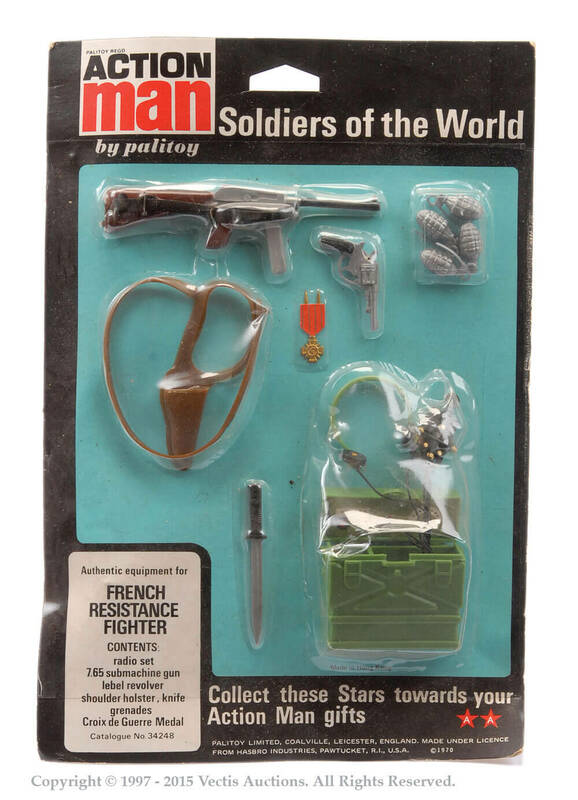 They included the British Infantryman, German Stormtrooper, (new) Australian Jungle Fighter, French Resistance Fighter and (new) French Foreign Legion, and (new) German Staff Officer. Sets were available	in one complete set, or on two 'half cards'. 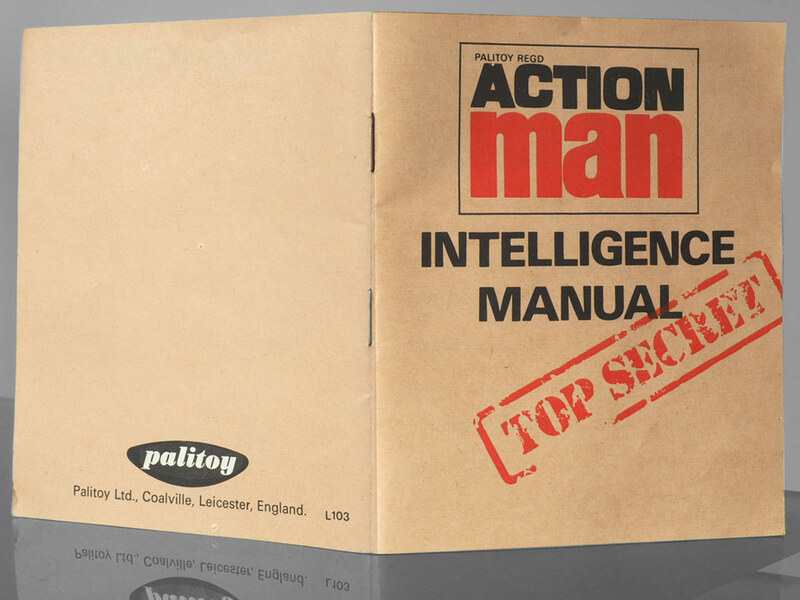 Also included with the set was the 'Intelligence Manual' - showing line drawings of all the 'Soldiers of the World', their equipment and a brief summary of their exploits. 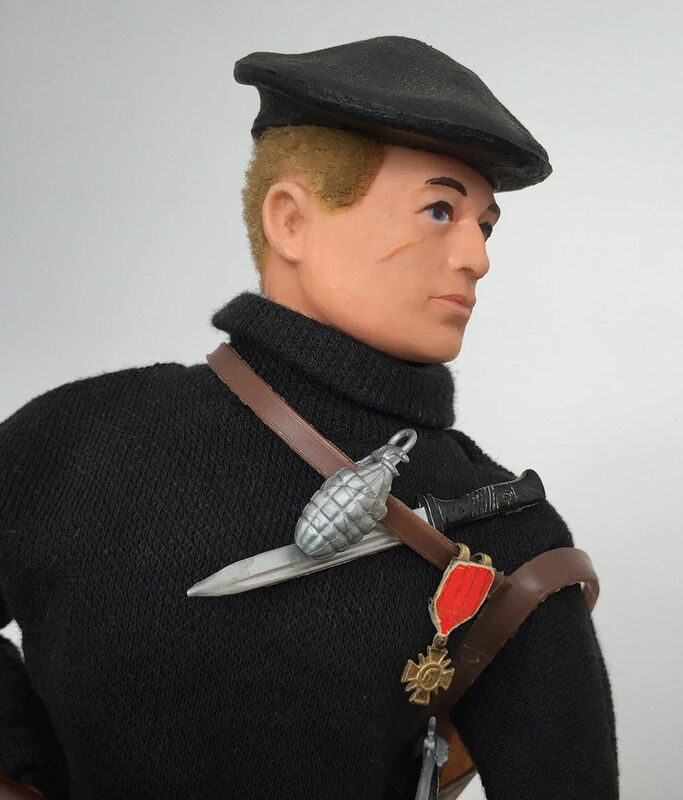 The 1973 uniform differed only slightly from the original 1968 French Resistance Fighter. 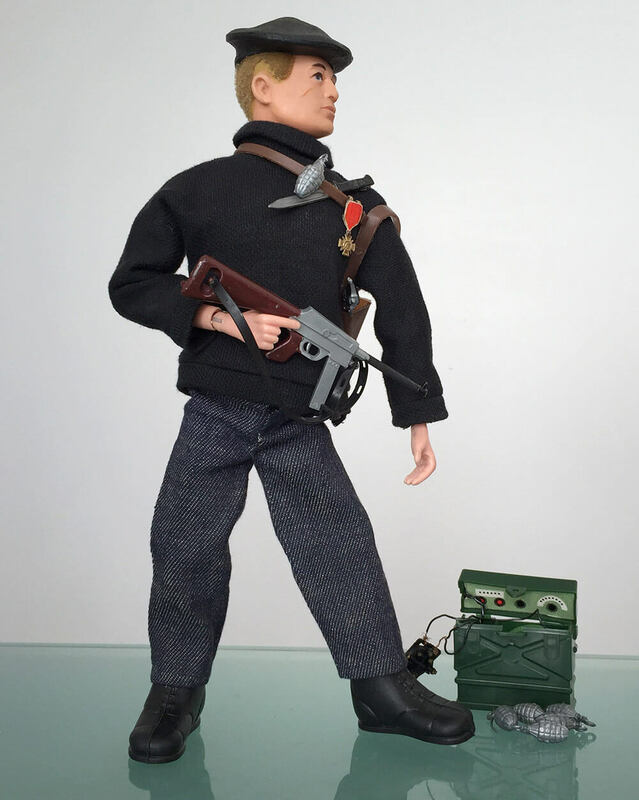 FRENCH RESISTANCE FIGHTER SET: Beret, sweater, trousers, boots (short black), radio set (camo or plain), .765 sub machine gun, Lebel revolver shoulder holster, knife, grenades, Croix de Guerre Medal, Equipment Manual, Intelligence Manual. 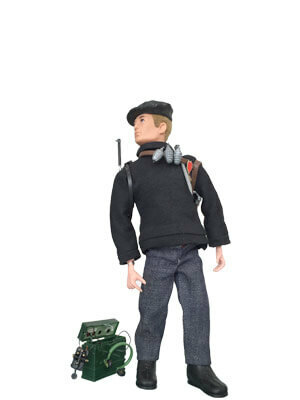 FRENCH RESISTANCE FIGHTER UNIFORM: Beret, sweater, trousers, boots, Intelligence Manual, Equipment Manual. 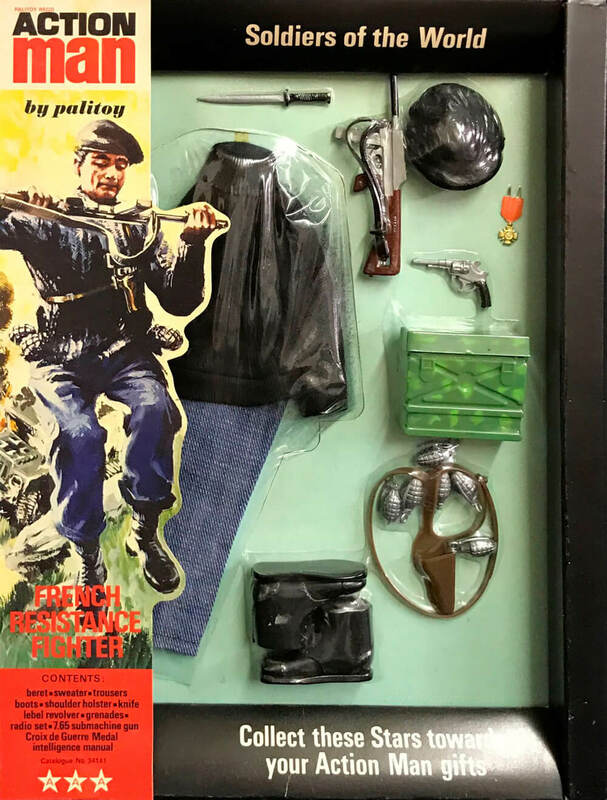 FRENCH RESISTANCE FIGHTER EQUIPMENT: Radio set (camo or plain), .765 sub machine gun, Lebel revolver, shoulder holster, knife, grenades, Croix de Guerre Medal, Equipment Manual, Intelligence Manual. 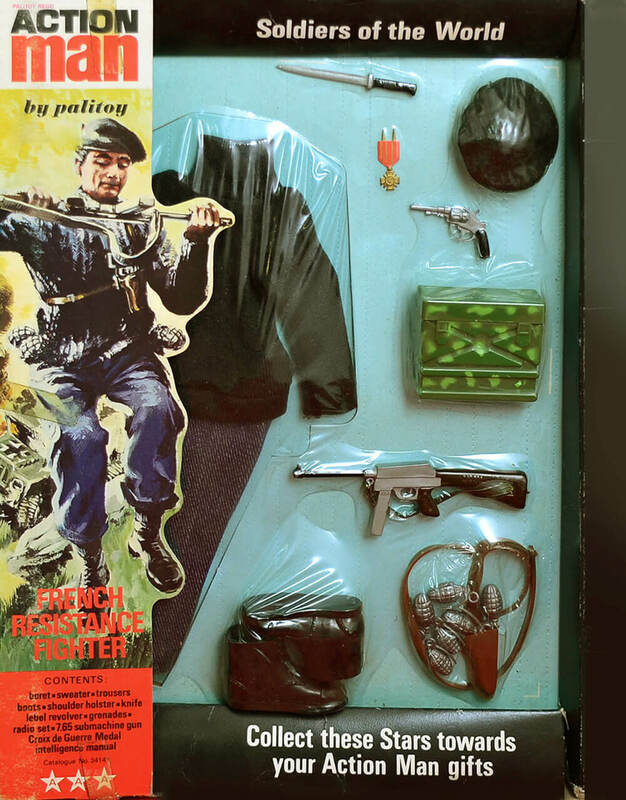 The Action Man French Resistance Fighter appeared in 1967 within the 'Soldiers of the Century' (SOTC) and re-appeared in the later 'Soldiers of the World' (SOTW) range of 1973. 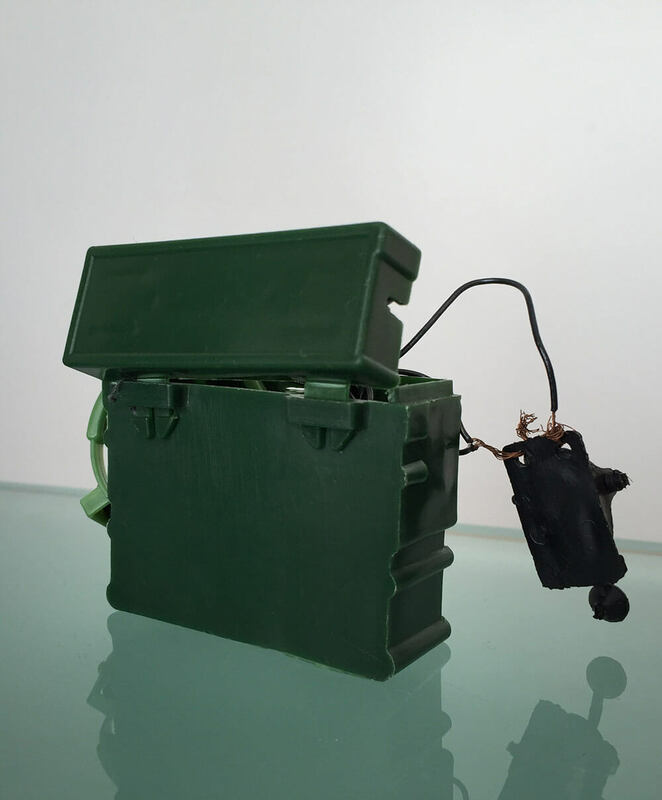 The later versions had a plain green radio set with hinges that were tabs. 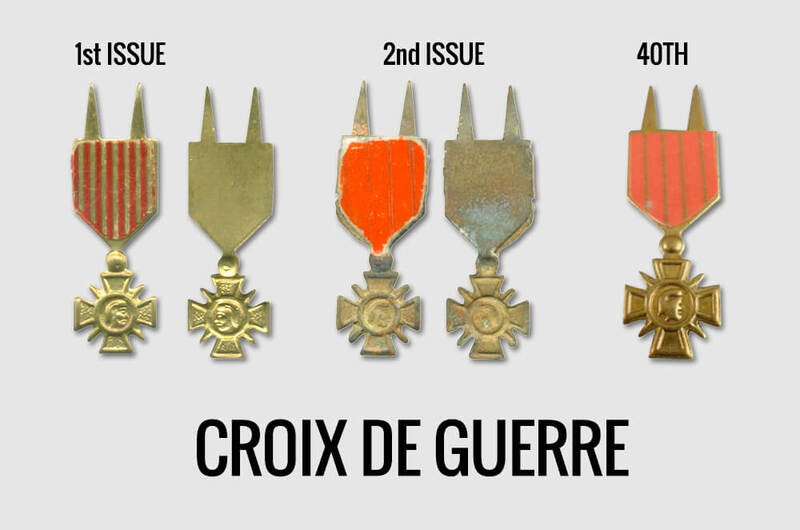 The Action Man Croix de Guerre medal was often lost or confused with the similar looking Action Man VC - the Soldiers of the World version had less vertical stripes on the ribbon, and less pronounced embossing. 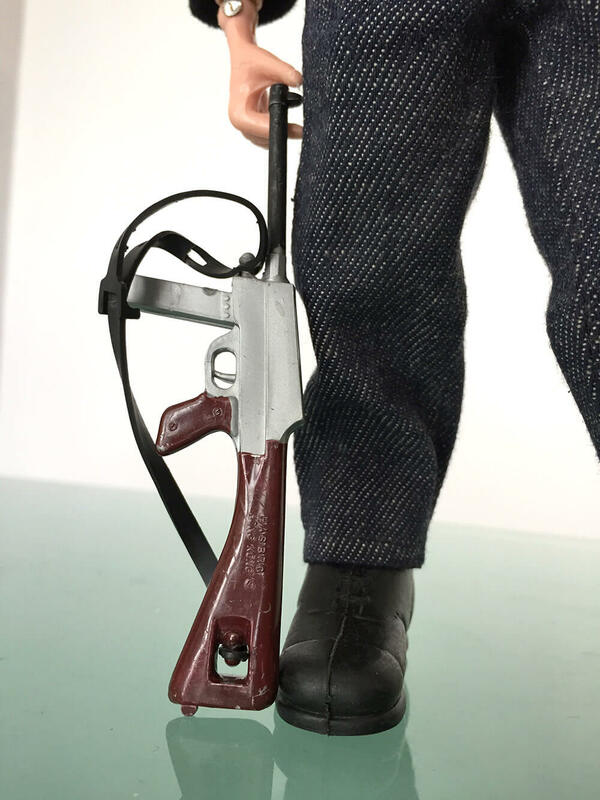 Fabrics changed a little over the many years of production, and the elastic strap of the machine gun changed to plastic in the mid-seventies. 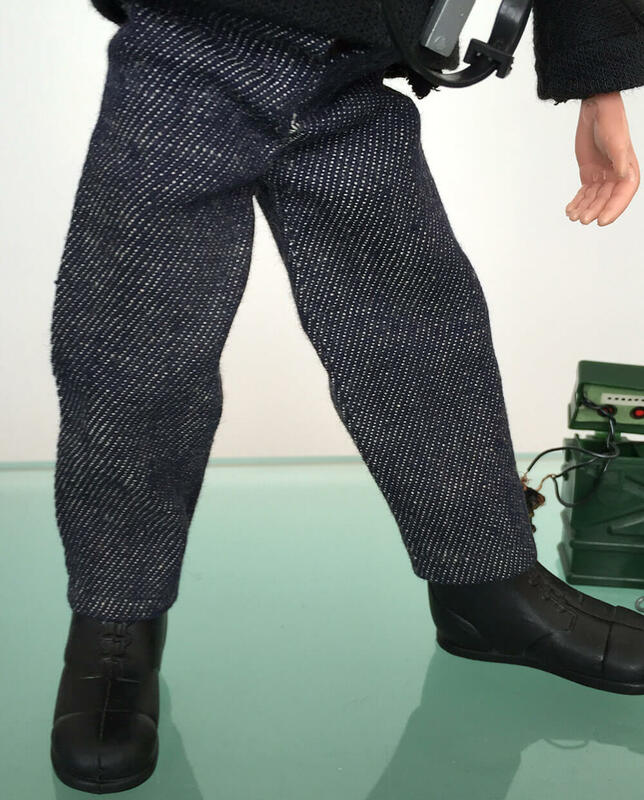 The original trousers had two poppers, but the Soldiers of the World sets typically have only one. 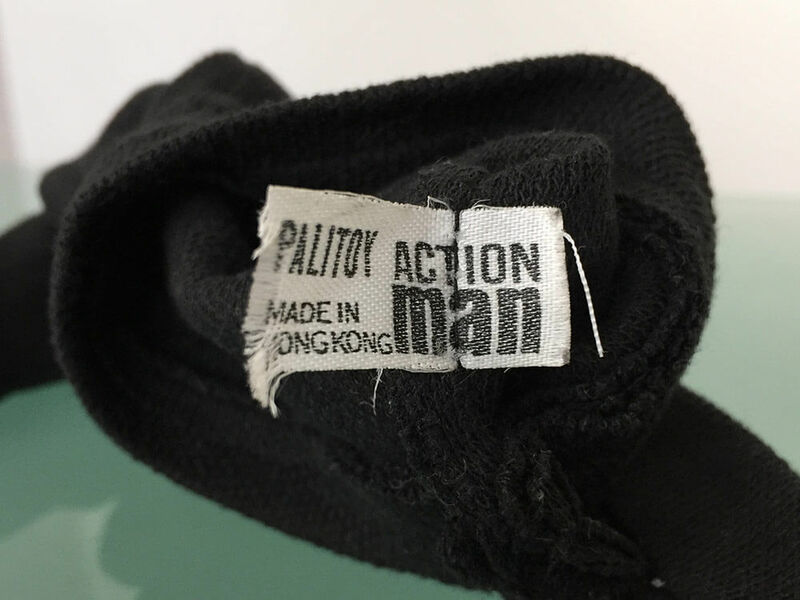 The jeans fabric is courser to the eye, and the sweater clothes label has no bullet holes within the logo (true of all later labels. 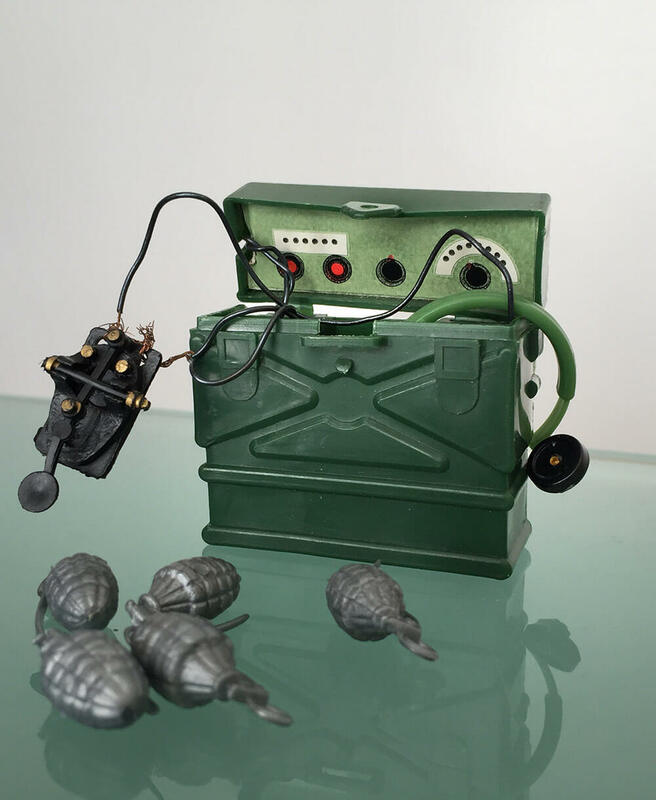 The Radio changes from the hrd plastic camo type with real hinges to the softer plain green radio with push in tabbed type hinges during this second period. 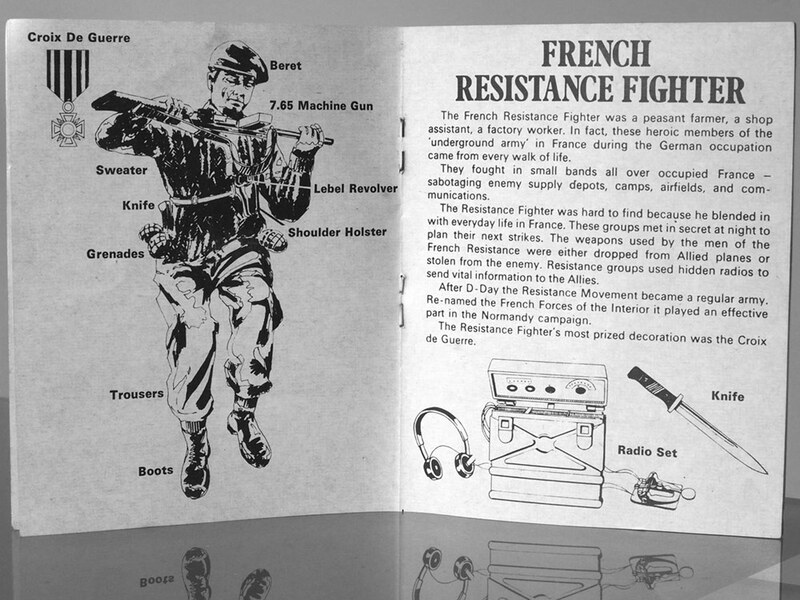 Components of the Action Man French Resistance uniform and weapons were also available on accessory cards.